Explore the numerous day-trip ideas around Rovaniemi: Korouoma Canyon (in Posio), Pyha-Luosto National Park (in Pyhatunturi) and Luosto (Amethyst Mine Lapland & Kopara Reindeer Park). The adventure continues: get in on the family fun at Santa Claus Village, take in the dramatic scenery at Auttikongas, take in the architecture and atmosphere at Rovaniemi Church, and see Santa Claus Office. 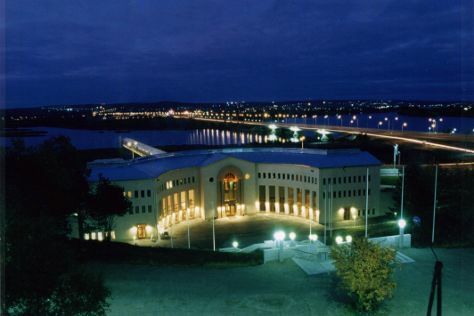 For ratings, reviews, photos, and other tourist information, go to the Rovaniemi holiday builder . June in Rovaniemi sees daily highs of 18°C and lows of 9°C at night. Finish up your sightseeing early on the 25th (Tue) so you can travel back home.